Posted on September 13, 2012 by elizagal •	This entry was posted in Motivation, Pets, The Journey and tagged Animal Welfare, family, mental-health, Public service announcement, Rescues and Shelters, running. Bookmark the permalink. I love animals and I have 3 adopted cats from rescues myself. They are definitely part of our family. A few weeks ago, we rescued a cute kitty who was hanging outside out backyard for weeks. She either was lost or abandoned. We finally decided to catch her and take her to a safe adoption rescue where she will be cared for until she finds her ‘furever’ home. We found our last cat at this rescue centre. We’ve thought about taking her in as well, but I’m afraid having 4 would be a lot for us to handle. Good luck with your races. Congrats on the 180!! Training for a 10k!? Wow, that’s amazing. I can’t even start to think about that just yet. I love that you rescue animals, good for you! I see a lot of dogs especially that always need a good home cause they’ve been forgotten or left behind, sadly. It sometimes seem so crazy to me Casie that I am training for a 10K and a half marathon in February. Could not have even imagined it less than a year ago. 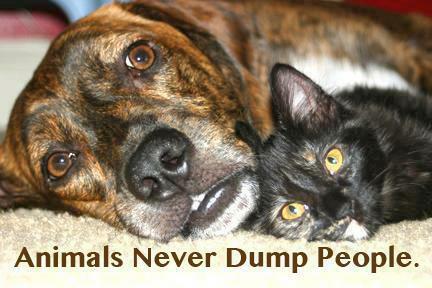 It is sad to see animals in need of rescue, given a good home they give unconditional love :).